Mass Brazilian Jiu-Jitsu was formed to offer a practical approach to training self-defense in a fun and safe environment. We offer a variety of martial arts classes and athletic training programs including; Brazilian Jiu-Jitsu, No-Gi Submission Wrestling, Kickboxing, Mixed Martial Arts and Fighter Fitness. We are a family friendly environment and ensure student safety as our priority. We take a great deal of pride in what we teach and have a passion for sharing the knowledge we have gained from our own training. Students are encouraged to choose from any or all of the programs we offer. You can mix and match what you want to learn. Some people only choose one program while others are interested in training in all of the programs. One of the hidden upsides to training at Mass BJJ is the community that has been built around both schools. A common theme that we hear when we ask students for feedback on our program, is how pleasantly surprised they are at the community of people that have become an extended family for so many of our practitioners. Mass BJJ is a place that offers so much more than just lessons in martial arts. It is hard not to get to know one another as we spend so much time on the mat together. And we have come to support one another through all the difficult times and celebrate together for all the happy times both on and off the mat. Whether it is to get into better shape, learn realistic self-defense techniques, fulfill the drive to compete at the World Championships or in the UFC, we have a unique ability to help you achieve these goals! And with classes designed specifically for Adults, Women and Kids Martial Arts we have something for everyone! If you are interested in learning the art of Brazilian Jiu-Jitsu in Arlington or Acton, MA, please visit www.MassBJJ.com . 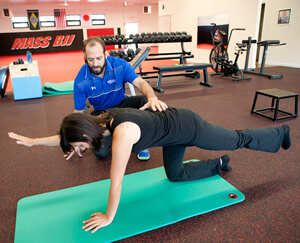 If you are a BJJ practitioner that needs PT, please click here to schedule an Evaluation with one of our therapists.